Nutrium allows professionals to have all their patients' information in one single place, secure and available anywhere. By providing the proper nutritional counselling to patients, professionals are able to achieve better results and improve patients' results and satisfaction. Patients can also track their progress and check dietary recommendations with Nutrium mobile app as well as chat with their professional whenever needed. Being able to get rid of the printed paperwork that I have with questions that are already on Nutrium. Being able to work on my clients anywhere in the world, since I don't have to carry all my files with client information around with me. That it combines both the administrative side of the business, as well as the operational side of it in one software and interface. That it combines both the administrative side of the business, as well as the operational side of it in one software and interface. Good updates so far, hoping to see more. Great customer service.The recipe builder. USDA data import function is fast and easy. Am able to use various measurement options (volume, mass, qty) and all the options included in the USDA database. The recipe builder. USDA data import function is fast and easy. Am able to use various measurement options (volume, mass, qty) and all the options included in the USDA database. Lack of sports nutrition features such as renaming of the days, re-ordering of ingredients and foods, and changing macro numbers for various days vs all of them having the same macro ratios. We have integrated Nutrium into our chronic disease practise recently. We have got positive feedback from patients till now. The Dashboard is very user friendly. The mobile app is higly praised by the patients as they have 'Dietplan-on-the-go' and no longer depend on a single printed piece of paper. The app allows for flexibility and diet plans can be modified based on patient feedback. The software has changed the way we do diet counselling. It saves a lot of time and prevents error in calculation. The Dashboard is very user friendly. The mobile app is higly praised by the patients as they have 'Dietplan-on-the-go' and no longer depend on a single printed piece of paper. The app allows for flexibility and diet plans can be modified based on patient feedback. The software has changed the way we do diet counselling. It saves a lot of time and prevents error in calculation. Being from India, we have to spend a lot of time to add our foodstuffs. Most of the pre-stored foodstuffs are not part of Indian diet. Hence the initial process of enetering foodstuffs and their nutritional values is time consuming. It is well constructed and you can see your progress without problems. Overall the UI is pretty nice and eye-catching, you do not need to look around much to find and enter your data. It would have to be the price, is a little high per month for this kind of app. When Im preparing menus it doesn’t let me open old ones and adjust them. * Offer clients a free mobile app to get reminders, check recommendations, log food diaries, water intake, physical activity and weight progress and chat with the professional at any time. Below are some frequently asked questions for Nutrium. Q. 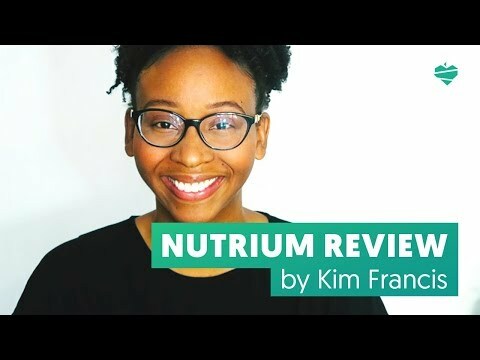 What type of pricing plans does Nutrium offer? Q. Who are the typical users of Nutrium? Q. What languages does Nutrium support? Q. Does Nutrium support mobile devices? Q. Does Nutrium offer an API? No, Nutrium does not have an API available. Q. What other apps does Nutrium integrate with? Q. What level of support does Nutrium offer?